I may not be the next Jamie Oliver of the insect world, but I do love reading about all the insect food possibilities that surround us. There are a lot of inspirational chefs, cooks and insect lovers out there and in this post I want to give them a shout out and highlight their amazing work. I have certainly not used all of these recipes, but I look forward to your responses to these (on Twitter, or email me) and any additions you might have to the list. The basis of many recipes are the insects themselves. But to go from raw insect, to edible goody is not always easy. Get your fix of pancakes which are not only gluten-free but packed full of vitamins and minerals just like all cricket protein based products. Cricket powder and flour is so versatile that you can almost bake anything you would with normal flour. 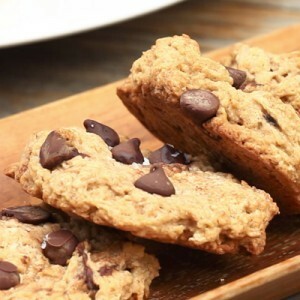 If pancakes were not your thing, then maybe these Choc Chirp Cookies will make you smile. 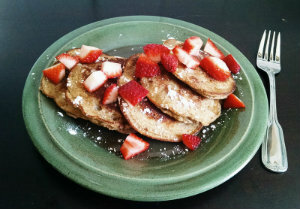 One of the hardest meals to include protein in is breakfast. 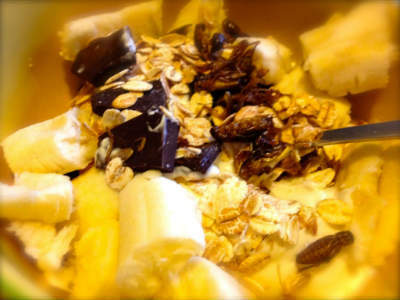 Sure we have eggs and bacon, but now you can add insects to the mix with a nutritious cricket muesli. Not one for the beginner insect consumer, this salad is all about the crunchiness of fried insects with the taste of Chermoula. If you are ready for the raw insect experience, why not give this one a try. Moving onto to the bug with a spring in it’s step, here are some tasty skewers with grasshoppers. Not for everyone I am sure, but a worth treat at a BBQ in summer. Carmine (E120) is made from cochineal bugs and can be found in some red food coloring. And although that is the only ingredient in this recipe that is coming from insects, the story behind the red color is an interesting one (You can read about this process in this post). And of course the cake looks mighty tasty too! Not only are there are a whole range of recipes out there on the web, but some amazing insect lovers around the world are also sharing their skills and expertise in the form of cookbooks. Below are three books I have had a lot of use out of. 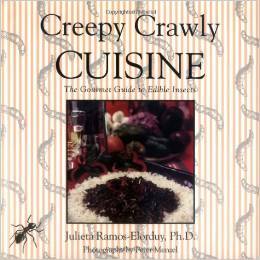 An introduction to the world of edible insects, complete with recipes and color photographs. Includes an historical look at the use of edible insects in indigenous cultures. Provides information on where to obtain insects and how to store and prepare them. Includes over 60 gourmet recipes, complete with stunning color photographs. In The Insect Cookbook, two entomologists and a chef make the case for insects as a sustainable source of protein for humans and a necessary part of our future diet. 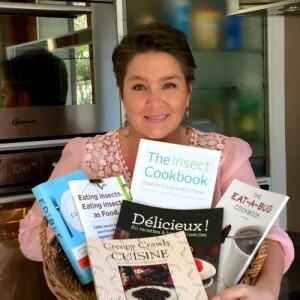 They provide consumers and chefs with the essential facts about insects for culinary use, with recipes simple enough to make at home yet boasting the international flair of the world’s most chic dishes. Everything you need to know about eating insects and more. 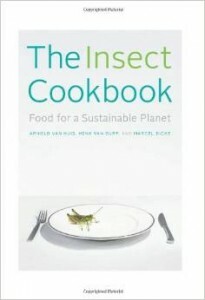 This book is a must have for anybody passionate about eating or breeding insects. 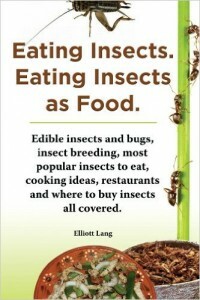 The author, Elliott Lang tried eating insects for the first time on holiday in Thailand and loved them. He couldn’t find any good book about it and decided to write a book himself and so started to explore the world of eating insects. Insects. They’re what’s for dinner. Can you imagine a world in which that simple statement is not only true but in fact an unremarkable part of daily life? 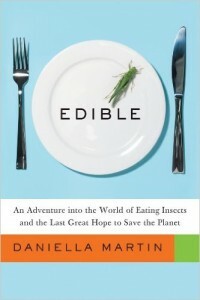 Daniella Martin, entomophagist and blogger, can. In this rollicking excursion into the world of edible insects, Martin takes us to the front lines of the next big trend in the global food movement and shows us how insects just might be the key to solving world hunger. Along the way, we sample moth larvae tacos at the Don Bugito food cart in San Francisco, travel to Copenhagen to meet the experimental tasters at Noma’s Nordic Food Lab, gawk at the insects stocked in the frozen food aisle at Thailand’s Costco, and even crash an underground bug-eating club in Tokyo. 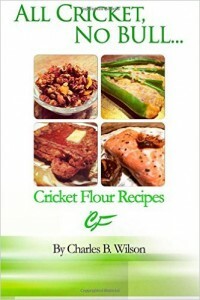 This book was inspired by our desire to bring some of our favorite family recipes to your kitchen using a sustainable and environmentally-friendly source of protein and nutrition: Cricket Flour. 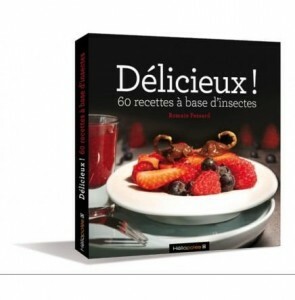 Released October 3, 2013, this book details 60 fully revisited recipes under the watchful eye of Mr Fessard, French entomophagy specialist. 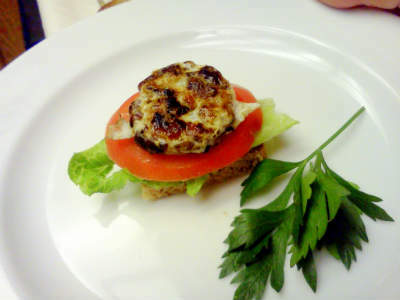 You will find amazing recipes of edible insects such as scorpion salad or savory crumble crickets. With beautiful illustrations, this cookbook gives a surprising insight to eat bugs. 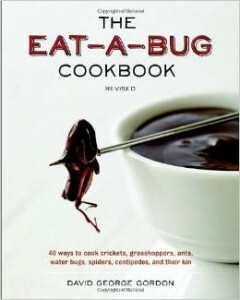 They also offer the cookbook together with some insect packs to help get you started. 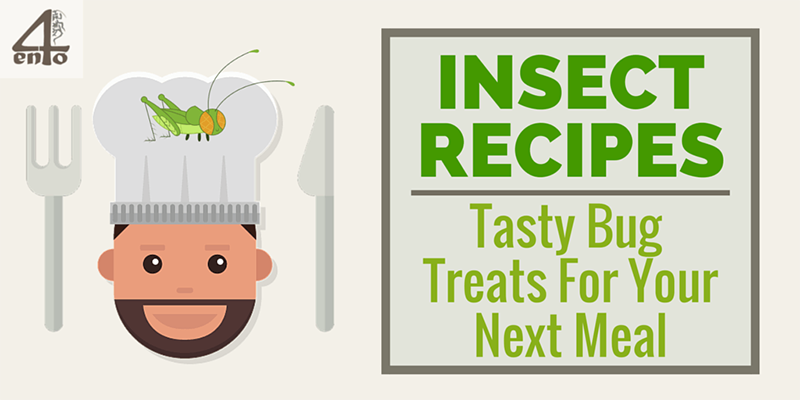 Insects are just another ingredient to be used to cook healthy and nutritious meals at home for friends and family. Whether you want to start out with a simple protein hit and just use cricket flour, or are up for a bit more adventure and like the crunch of a grasshopper kebob, there is something in here for everyone. Insects are slowly making their way into restaurants too, but that is something for another blog post. If you have any tasty recipes you think we should add to this list, be sure to get in touch or send me a tweet @anacday.